Specially formulated foam for unparalleled resilience and cushioning for ultimate work comfort. 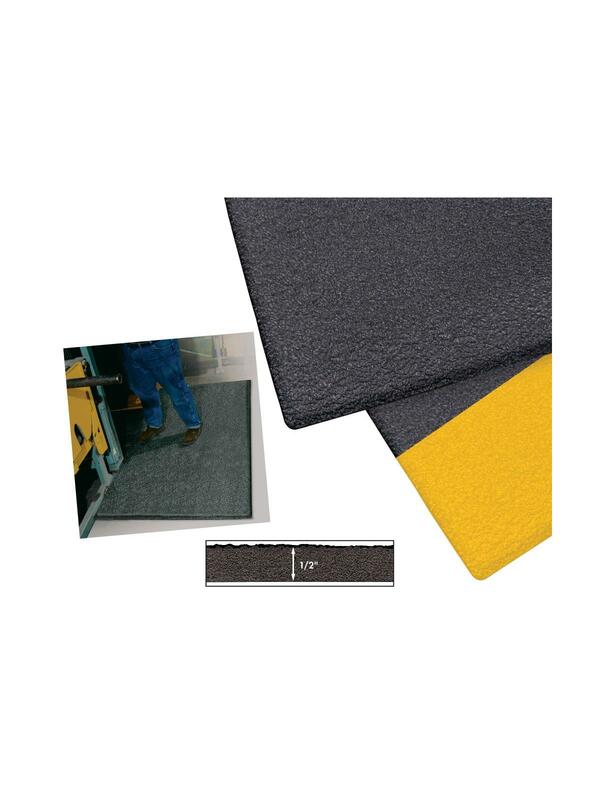 Recommended for use in automotive and industrial work areas, service counters and laboratories. Designed and manufactured to accommodate the most demanding work environments, these mats are the next generation in foam technology. 1/2" thick closed-cell PVC foam formulation is extra tough for long lasting performance. Handles most common fluids and stays buoyant even at low temperatures. 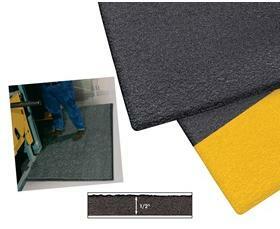 Aggressive pebble-embossed surface enhances traction and durability. Beveled edges reduce tripping. 3-year limited warranty. FOB Shipping Point.